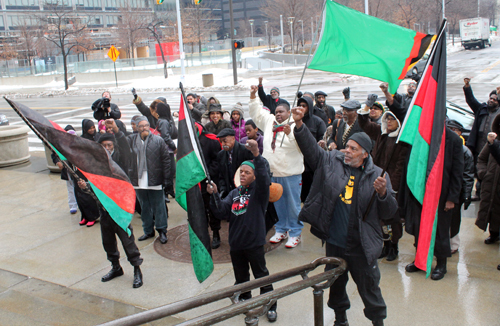 Back inside, community leaders hung the red, green and black flag. 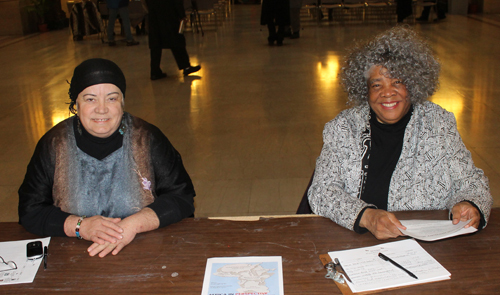 Ruth Standiford and Lucille Short staffed the registration table. 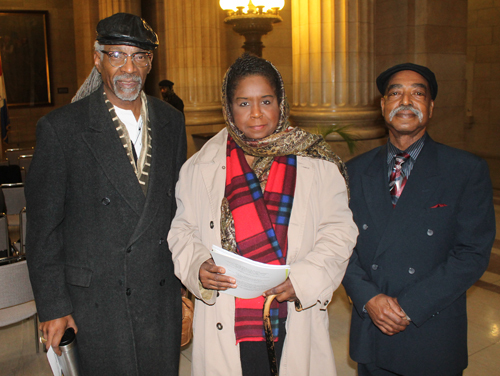 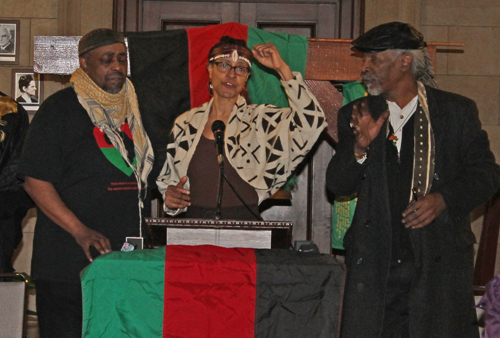 Afi-Nur, Anita Rose Banks and Steven E. Boyd of the Hue People sang Lift Every Voice and Sing by James Weldon Johnson. 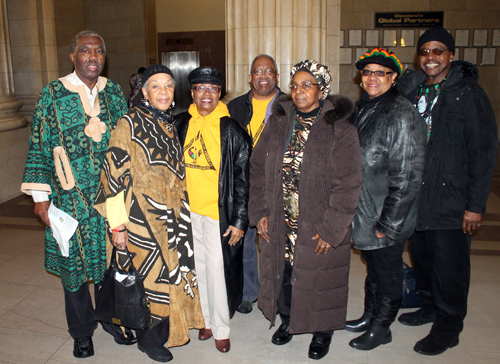 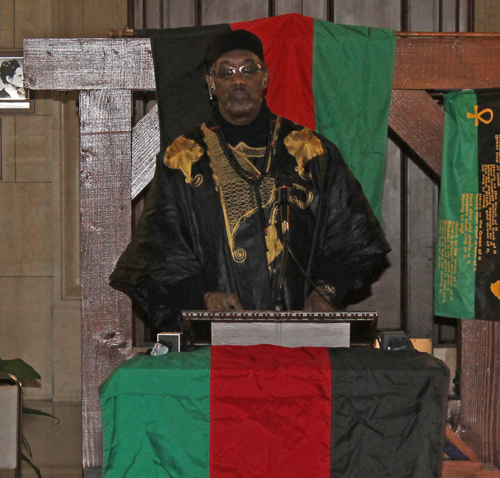 The song is often called the Black National Anthem. 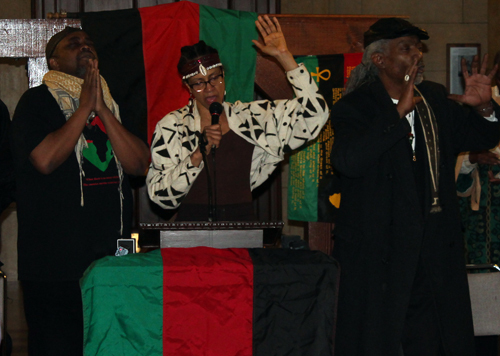 The Hue People also performed an African song. 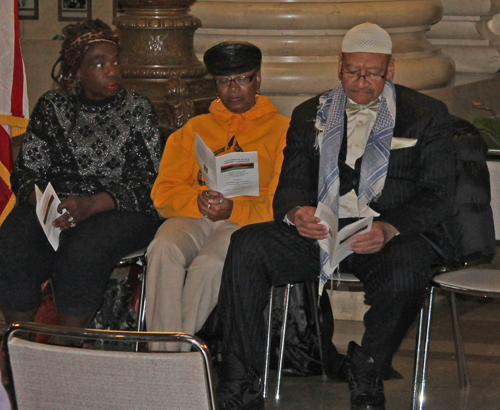 A variety of community leaders spoke to the crowd. 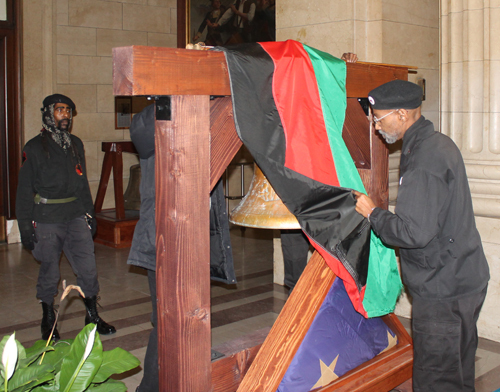 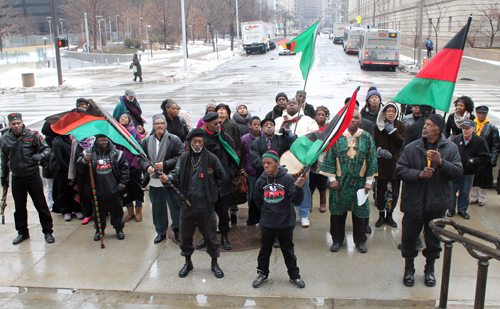 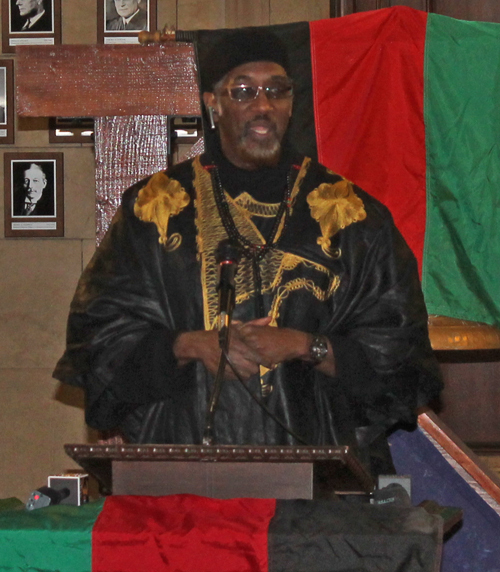 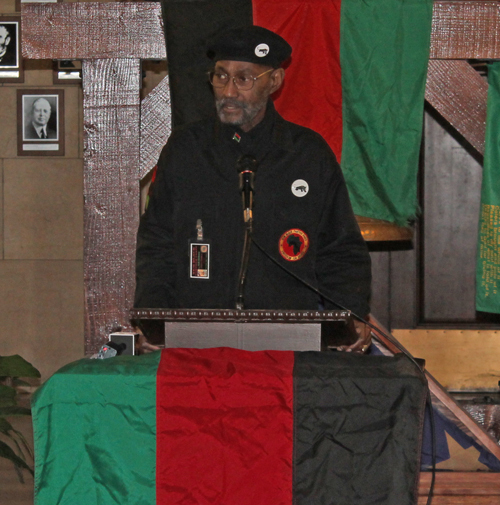 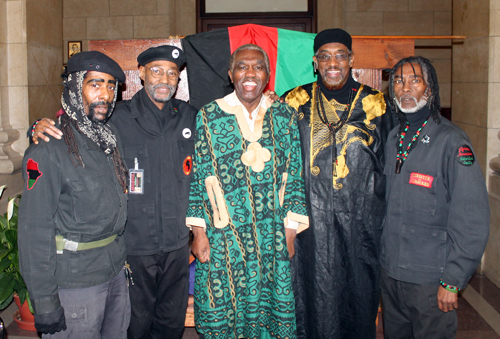 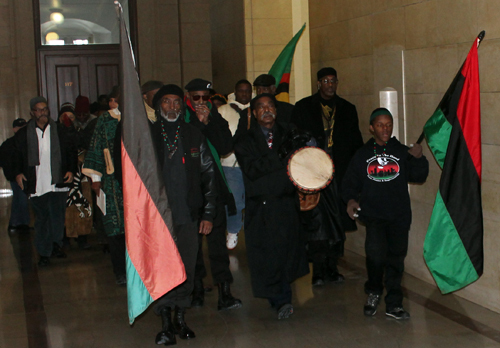 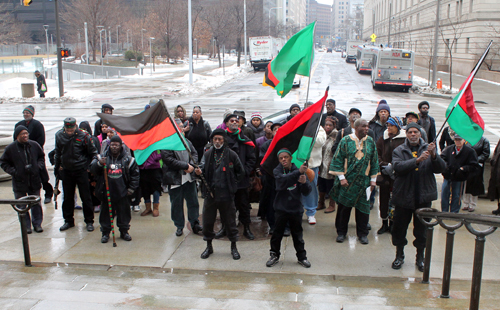 Khalid A. Samad from Coalition for a Better Life, dba Peace in the Hood told of the many nations using the Red, Black and Green of the African flag. 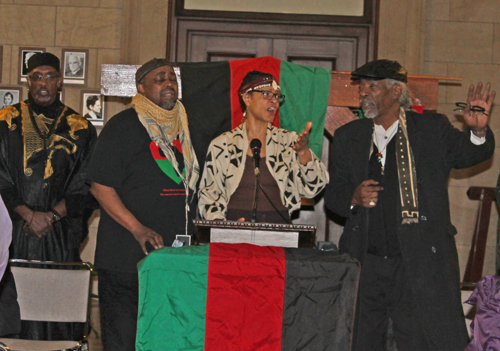 Dr. Eugene Jordan sang a few lines of Oh Freedom and then told the history of the Black History celebration in Cleveland from Harlel Jones to Mayor Carl B. Stokes to Omar Ali Bey to Khalid Samad. 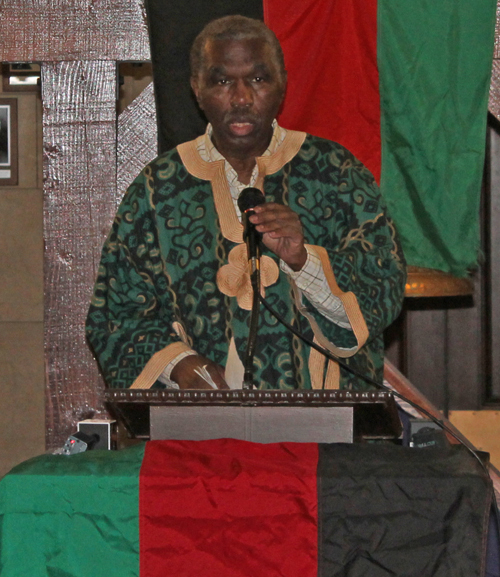 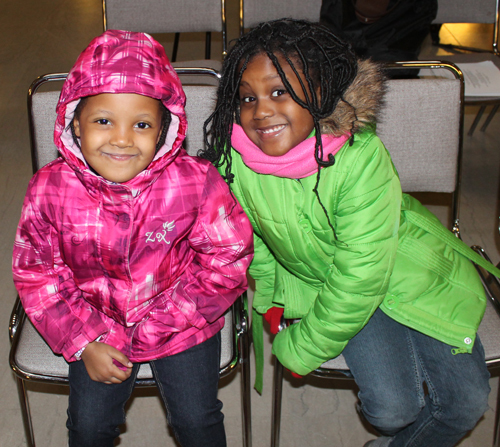 Dr. Jordan also told the story of Harriet Tubman and the Underground Railroad. 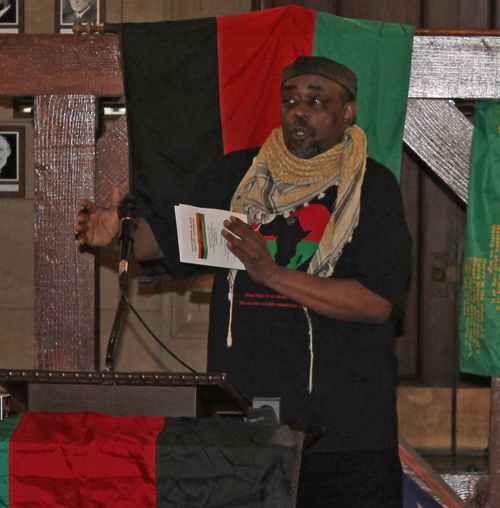 Other speakers included Afi-Nur, Abdul Qahhar, Akil Hashim, and others.